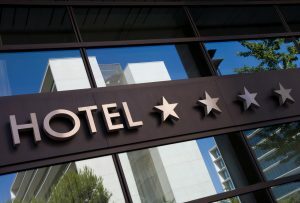 Considering investing in the hospitality industry? Hotel investment is a good method to diversify your portfolio, building wealth in an industry that is expanding. The industry is run by established names, so you have a nice hands off investment you never need to worry much about. Here, we look at three tips you can use to get your bearings in the world of hospitality investment. The big brands in the industry are established, and a good place to start to at least learn the basics if not to invest. Any good portfolio contains a few well-known brands in it, especially those with a five-star rating. Some will have massive international marketing campaigns behind them to advertise their services, while others rely on strong relationships and word of mouth marketing for repeat business and a loyal customer base. Either way, brands are a good way to acquaint yourself with the market. Think about what you like when you travel. You want relaxation, and some on-site amenities worth taking advantage of. Things like a spa, a golf course or an exhibition center are just a few of the amenities good investors look for. Conference rooms offer excellent returns, especially if the chain attracts big names and annual events. The final tip is more of a suggestion, and that’s to aim higher. If you consider the normal hotel market, vacation rentals are slowly cutting into market share and the hotel industry is benefitting greatly from luxury rentals. Finding a good luxury brand, and making the right investment in your portfolio, will yield an impressive return. Bio: Omar Amanat is an investor and philanthropist based out of the United States. Omar Amanat was part owner of Aman Resorts Group, and a prominent investor in the hospitality and luxury travel industries. The nature of some businesses in the Cayman Islands lends itself to frequent short-term visitors. Many people come for weeks or months at a time to see a deal through to its conclusion, or to meet with potential clients. Staying at a hotel for that time isn’t very feasible, so there is a growing demand for Cayman luxury property rentals. These rentals often have the same kinds of amenities a hotel has, with a setting and feel that is closer to home away from home. Stamp duties are the Cayman government substitute for taxes, so your property is tax free in the traditional sense. You pay the duty at the time of sale, and again when you plan to rent the property for any extended period of time. These fees are not annual, nor are they recurring in most cases. They typically apply to documents and the transaction itself. Property management companies offer a valuable service to offshore investors. It’s common to maintain Cayman Islands condos year round to cater to renters, or to the family who owns the property. These companies handle all maintenance, oversee the property and collect rent for a fee. The fee is usually well worth it if you can find consistent renters, as it frees you from the personal responsibility of micro-managing the property. The Web has provided an excellent outlet to find more visitors and temporary renters. Classified ads, short-term rental sites and vacation hubs all present an excellent outlet to attract more renters to your property. :: RE/MAX Cayman Islands specializes in the sale of Cayman luxury real estate, including condos and residential homes on Grand Cayman and the surrounding Cayman Islands. It’s not easy being beautiful. Yes, many men are afraid to approach beautiful women. Some are afraid because they are intimated while others are afraid of rejection. So what can you do to make yourself more approachable? Here are a few tips on how to be more approachable to men. It’s important to pay attention to the message you’re giving with your body. Avoid body language that screams “stay away,” such as not making eye contact, keeping a distance, and crossing your arms. Instead, smile. A smile is one of the best ways to show a man that you find him attractive and that you’re interested. You can learn other ways to show a man you’re interested when you join the elite dating service New York Socials. Who you are with makes a big difference in how approachable you are to a man. When going out to meet men, go out with a single female friend or two at most. Don’t surround yourself with too many girlfriends, because he might get intimidated to make the first move. It’s also important not to surround yourself with male friends because it gives the wrong message. A woman surrounded by many male friends is either taken or already talking to someone she is interested in. Sometimes no matter what you do, it’s hard to get the man you’re interested in to approach you. When all else fails, consider making the first move. It’s okay and sometimes even desirable to approach a man first. To learn more, become a member of New York matchmaking service New York Socials. New York Socials is an elite dating club that offers dating services for members only.